PHUKET: An officer from Patong Police has confirmed with The Phuket News today that after checking CCTV footage from the C & N Resort and Spa in Patong they can confirm that the 21-year-old Chinese tourist found floating in the pool there did die from drowning. At 8:15pm last Wednesday (Feb 15), Lt Col Weeraphong Rakhito of the Patong Police received information from staff at Patong Hospital that a the body of a Chinese tourist had been taken there following an incident at the C & N Resort and Spa on Sirirat Rd in Patong. 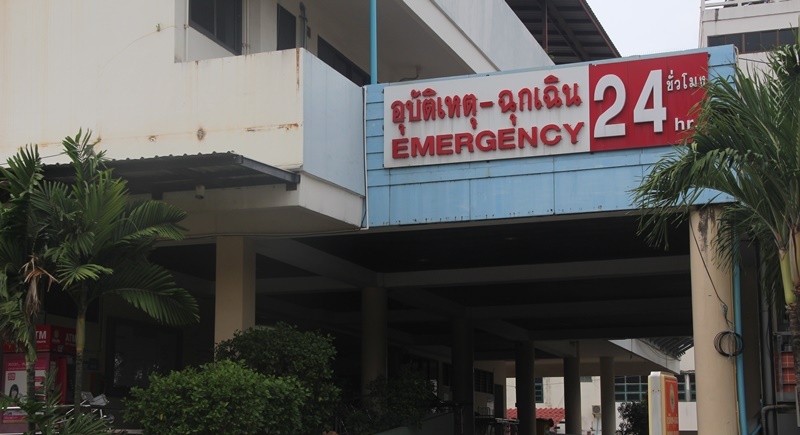 Staff from the hospital told Lt Col Weeraphong that at 7:01pm last Wednesday they received a call stating that a Chinese man was being taken to the hospital after being found floating in the pool of the resort. Speaking to The Phuket News today (Feb 20), Lt Col Weeraphong said that after checking CCTV footage more thoroughly they saw Mr Lei walk from his room and enter the pool alone at 6:16pm. “He entered the pool and swam alone until 6:20pm, he stopped swimming at that time and was not pulled from the water until 6:24pm,” Lt Col Weeraphong said. In addition, Lt Col Weeraphong stated that the report received from Patong Hospital confirmed the cause of dead as drowning. CCTV cams on Phuket are not observed with purpose of prevention! Let tourists and citizens of Phuket not feel safe by seeing CCTV cams. They are only observed after a disasyer or crime. Phuket CCTV cams are not in any way used/observed to PREVENT a disaster or criminal act. It is not the Phuket authority thinking to PREVENT. Ok, so no more police 'believings', as a police spokesman said a few days go. CCTV cam footage showed the facts. This leave still a few questions. 1: Was hotelpool closed for guests? Yes/No? 2: Where was the hotel pool attendant if the pool was stil open?